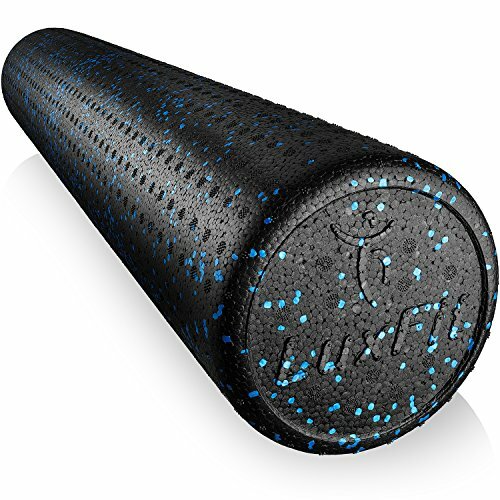 Are you looking for a top-quality foam roller? Then this one from LuxFit should be at the top of your list. Read our buying guide packed with information to help you decide if it’s the right one for your foam rolling exercises. you’re looking for one the best foam rollers, you’ve come to the right place! We’re going to review our top pick for back foam rolling. 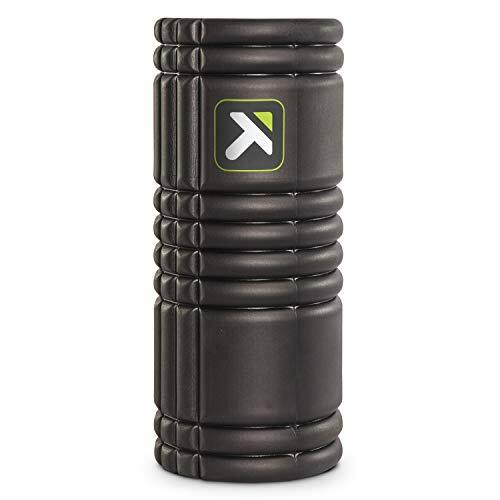 If you have a sore body and are looking for a cheap, portable, easy to use solution, then consider this foam roller for stretches. Foam rolling is an excellent way to do self-massage, release trigger points, and facilitate the flow of blood and oxygen to tissues. 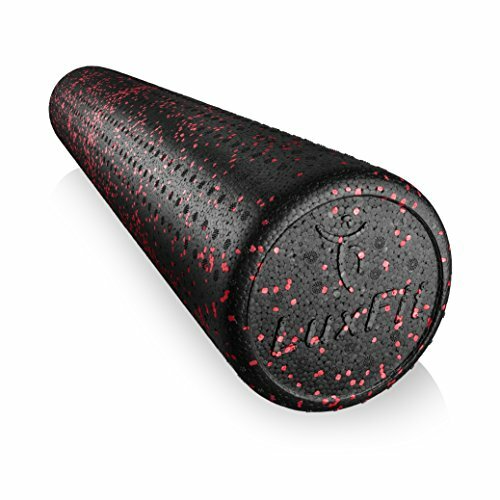 This LuxFit High Density Foam Roller is one of our top pick for foam rolling. It’s high density, which means that it won’t lose shape even after heavy use. It’s made in the USA by a company who stands behind their product and offers a full 1-year warranty. 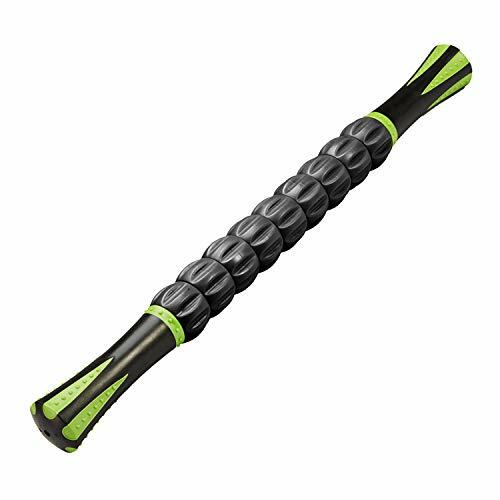 The LuxFit Premium High Density Foam Roller has a density of 2 pounds per cubit foot, which means that it won’t lose shape even after years of use. 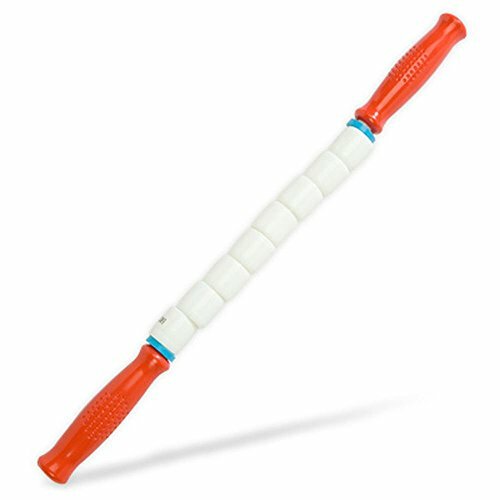 This makes it a great foam roller for back stretches, where you’ll be putting your full body weight on it. There are three sizes including small (6×12 inches), medium (6×18 inches) and large (6×36 inches). The large one in particular is perfect for rolling the heavier portions of your body. However, the smaller one is a good choice for those who travel and want to bring something on the road with them. It will easily fit into your suitcase. The other thing to consider when buying a foam roller is the density. Density falls on a spectrum between soft and hard, with the hardest/highest density foam rollers generally being the most expensive ones. 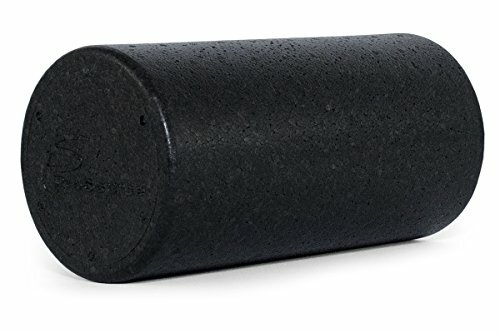 The softest/least dense foam rollers are usually the cheapest ones. High density foam rollers are made from higher quality materials, will last significantly longer than the softer ones and often come with a 3-6 or 12 month warranty, unlike the softer ones. The high density rollers are able to handle any kind of weight of the user. For these reasons, we always recommend high density foam rollers here at My Foam Rollers. 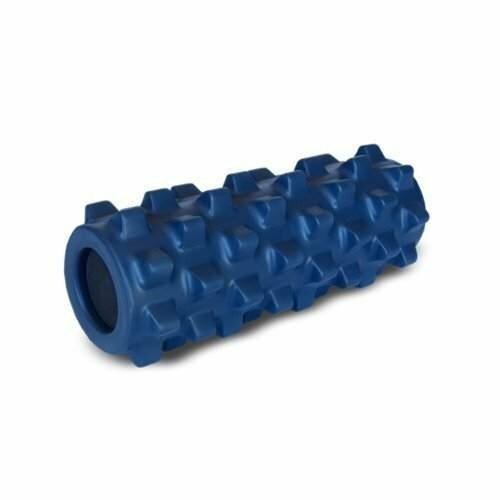 People who buy the cheaper, lower-quality, less dense foam rollers often end up disappointed after only a few uses when their foam roller warps and gets flatter and flatter. Spend a bit more money on a high density foam roller that will last significantly longer. Never heard of foam rollers? Check out: What are Foam Rollers and do they Work? There is a full warranty from LuxFit for their foam rollers. They are manufactured in the USA and the company truly stands behind their product. These foam rollers have a very high rating on Amazon and a ton of satisfied customers. 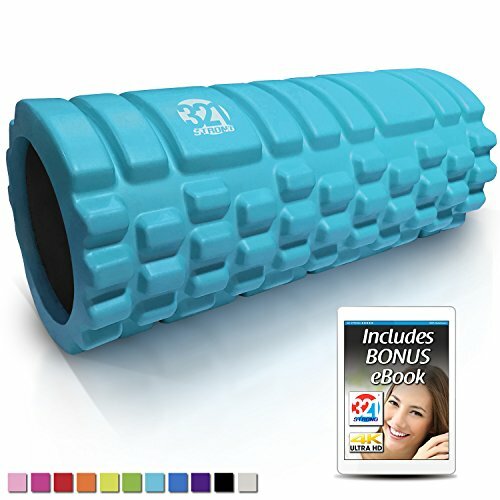 You can easily find this foam roller on Amazon.com. Check now for the best prices and to see if it’s eligible for free shipping with an Amazon Prime membership. Extra firm. Many foam rollers are too soft, or too thin to really work well. 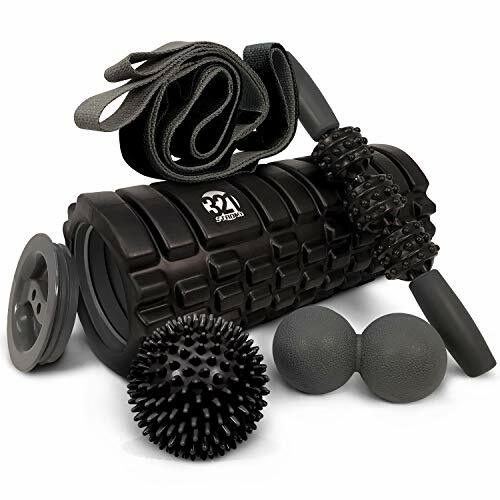 If you have muscle pain, this LuxFit Premium High Density Foam Rollers makes an excellent choice. It’s a top-quality product at a very reasonable price. 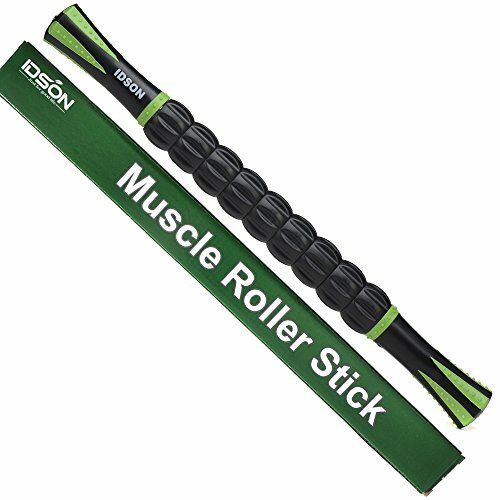 The medium and large sizes in particular are long enough and thick enough to make a great foam roller for back exercises, along with shoulders, hips and upper and lower legs. By using a foam roller consistently you’ll notice that you’re freer from muscle pain and that recovery time will be lessened after a tough workout. 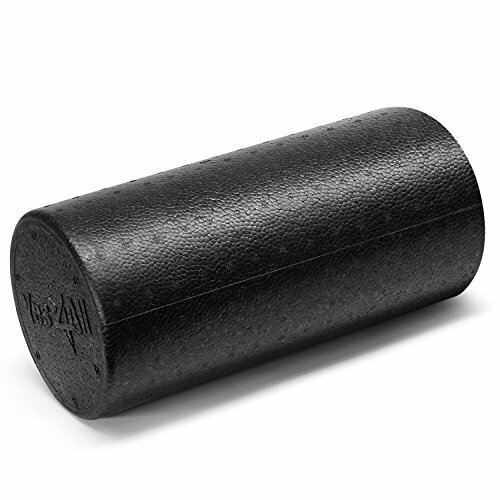 The best part about this foam roller is the extremely reasonable price tag. It’s one of the cheaper foam rollers out there because it doesn’t have a ton of bells and whistles. However, you just need something simple to do a basic foam rolling workout. 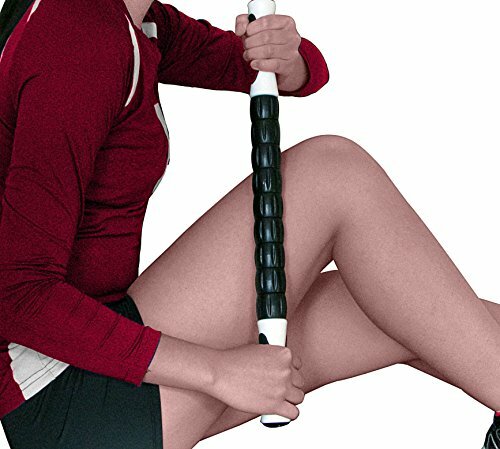 If you have a bit of money to spend, we recommend the Trigger Point Grid Foam Roller 2.0 with its unique patented design. Need some details on foam roller exercises for your back? Check out: How to Use a Foam Roller for Lower Back Pain. 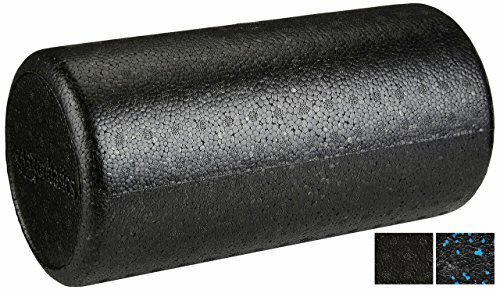 What are your thoughts about this top-quality foam roller from Lux Fit? Leave a comment below and let us know what you think.